The foundation is being laid at Evelyn’s Park - literally. 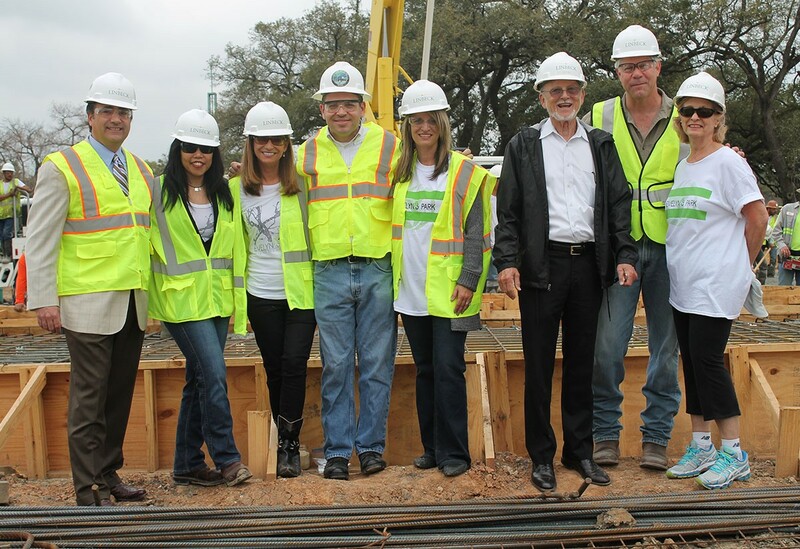 This morning, there was a foundation pouring ceremony attended by Patricia King-Ritter, Evelyn’s Park Conservancy President, Maury “BO” Rubenstein, Founder of the Rubenstein Family Foundation, Bellaire Mayor Andrew Friedberg, members of Bellaire City Council and Evelyn’s Park Conservancy board members. Today marked a significant step forward for Phase One of Evelyn’s Park, in which the foundation was poured for the event center, café and office. For good luck, attendees threw in 18 pennies, a yellow ribbon and a teaspoon of sugar. Earlier this week, Evelyn’s Park launched its “Name On!” contest, inviting the community to name the café from the Zelko Concepts team, opening this fall. The winner gets the opportunity to name the café, enjoy dinner with Jamie and Dalia Zelko once the café opens and will receive a complimentary one-year membership to Evelyn’s Park Conservancy. See more details about the contest here. 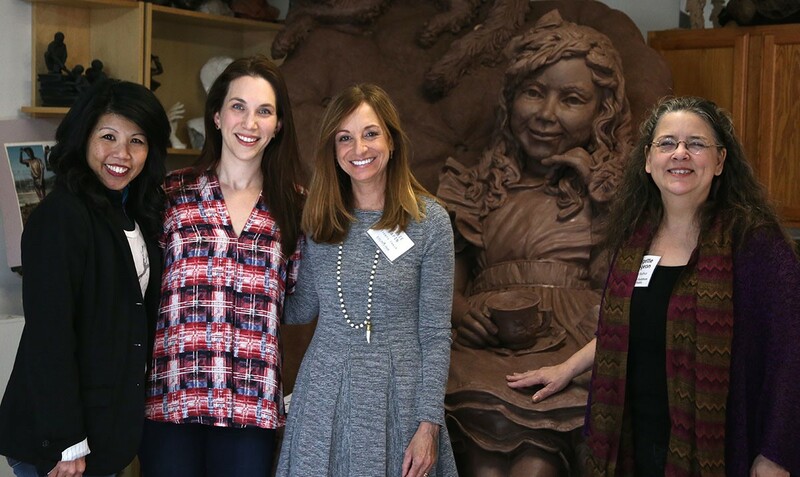 In addition, there was a sneak peek “Sip ’n See” preview party in February at artist Bridgette Mongeon’s studio to check out the progress of the Move On One Place sculpture that will be unveiled in Evelyn’s Park in November. Guests, including Board member Terry Leavitt-Chavez, Council Members David Montague and Michael Fife, Bellaire Mayor Andrew Friedberg, Evelyn’s Park Cafe Operator Jamie Zelko and others mingled with the artist and learned about how she brought the classic Alice in Wonderland tea party to life. All in all, Evelyn’s Park has made significant progress. Learn more about what’s going on at the park here.